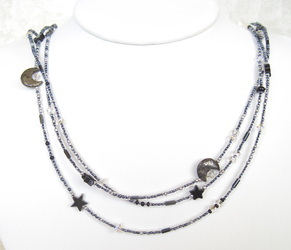 No clouds hide the crescent moon and thousands of twinkling stars tonight! 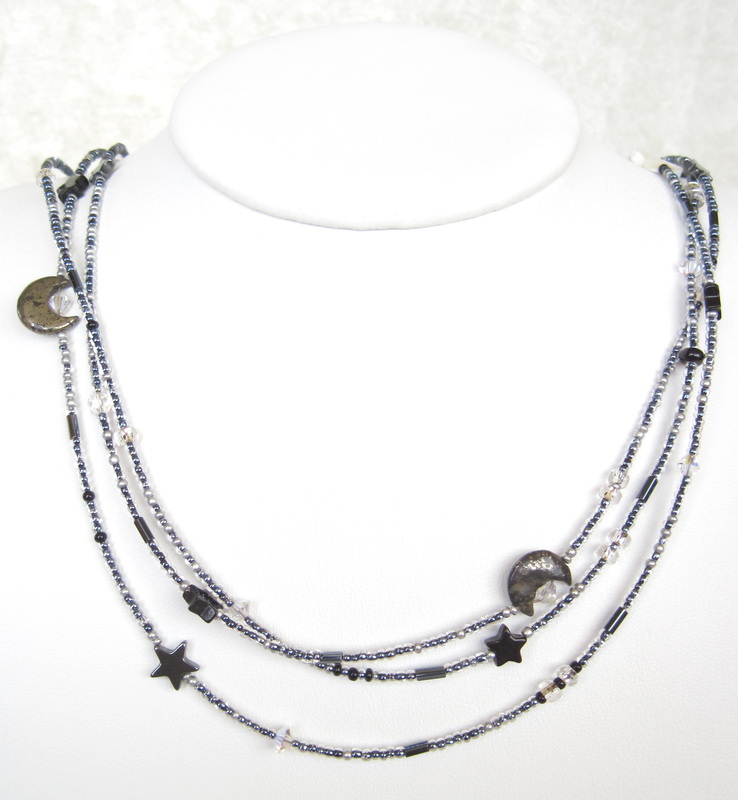 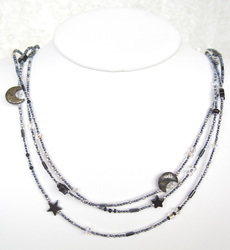 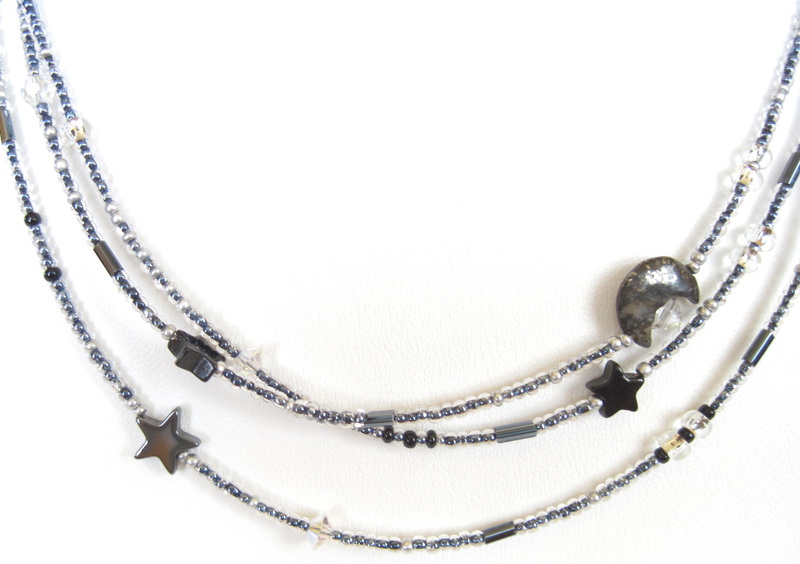 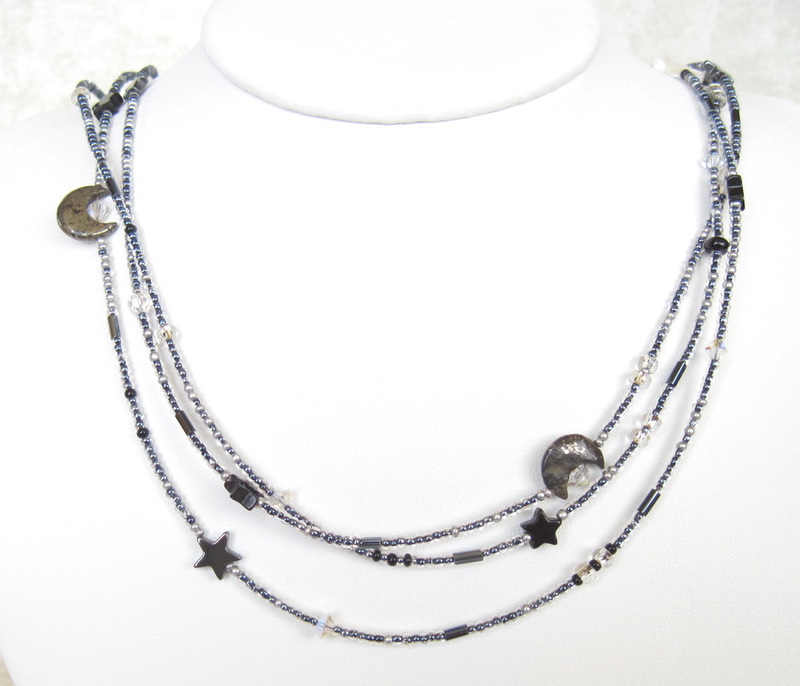 Mother of pearl, onyx, hematite and pyritized hematite shine on three strands of Austrian crystals and seed beads. 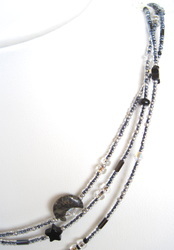 Darkest Midnight is 25" long and fastens with a toggle clasp. 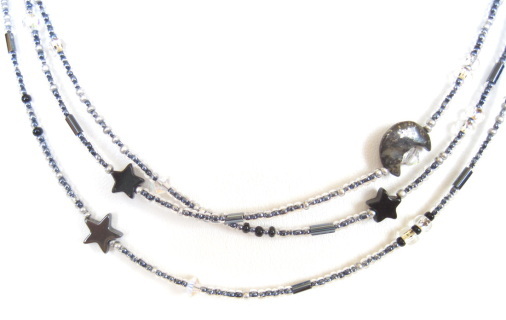 Perfect for any color outfit: black is the new black!